Alliance Foot & Ankle brand identity - Red Carrot Design, Inc.
Alliance Foot & Ankle specializes in the medical and surgical treatment of the foot and ankle. They provide comprehensive foot and ankle care to Alaskans at their office in the Alaska Regional Hospital campus. The Problem/Issue: Outdated brand and identity system. The word “Podiatry” is an outdated term that doesn’t communicate the full scope of foot and ankle surgical practices to the public or other stakeholders. 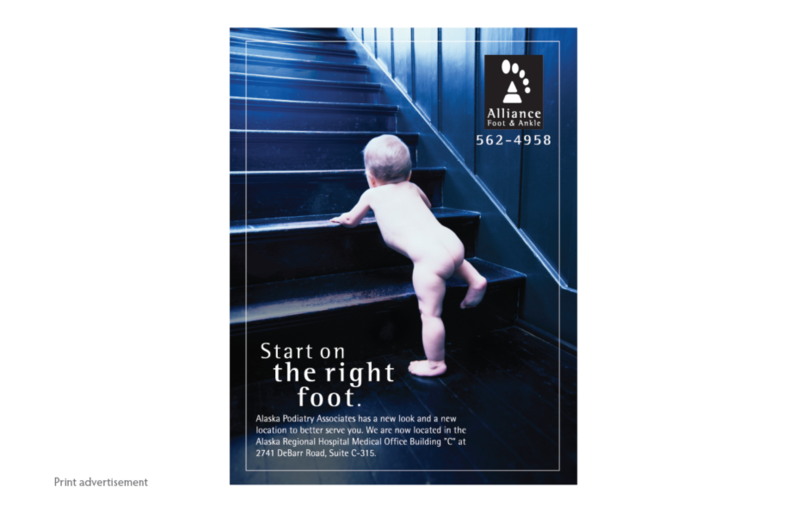 Our Solution: Alliance Foot & Ankle was selected as the new business name. 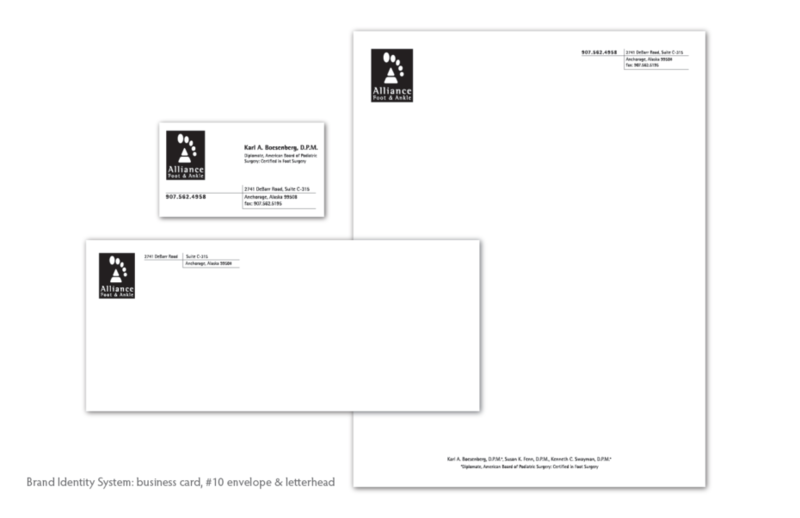 The new logo, business card, and a print advertisement provided a fresh and updated look.